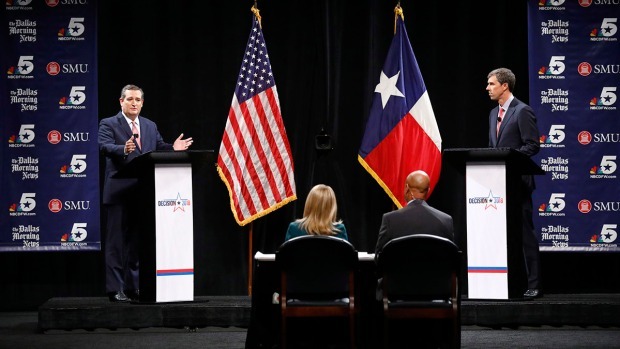 U.S. Rep. Beto O'Rourke, D-Texas, takes part in a debate for the Texas U.S. Senate with U.S. Sen. Ted Cruz, R-Texas, Tuesday, Oct. 16, 2018, in San Antonio. 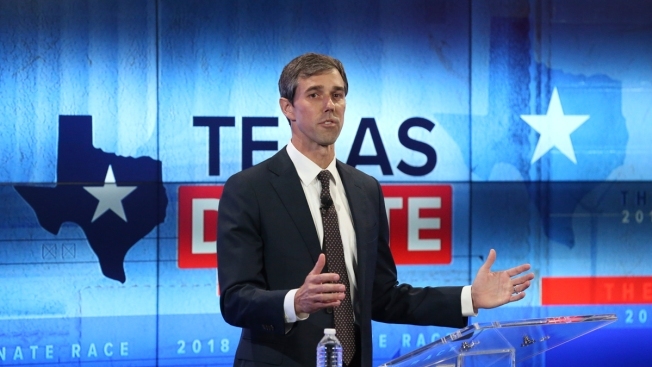 Democratic Senate hopeful Beto O'Rourke told a national television audience Thursday night that he'd vote to impeach President Donald Trump and believes Texas can lead the way to a national embracing of relaxed immigration policies and gun control — unapologetically liberal positions that may be hard for some in his deep-red state to stomach. "Beto O’Rourke is a total lightweight compared to Ted Cruz, and he comes nowhere near representing the values and desires of the people of the Great State of Texas," Trump tweeted on Friday. "He will never be allowed to turn Texas into Venezuela!"